Fruitless Pursuits: The Book Was Better Podcast: Episode 16: Indiana Jones and the Temple of Doom! 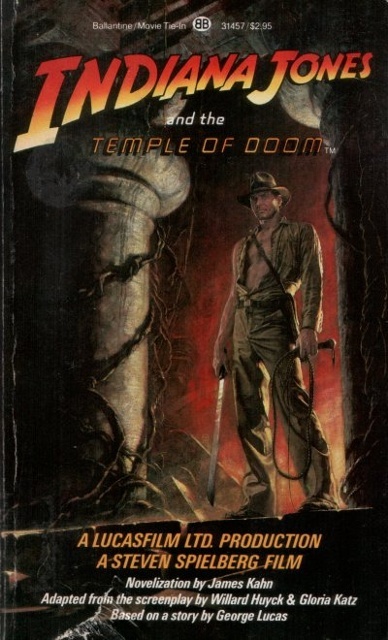 The Book Was Better Podcast: Episode 16: Indiana Jones and the Temple of Doom! Did you know that Jessica McLeod and I have a podcast where we discuss, debate and mock movie novelisations!? Well we do! And this one is about my favourite adventurer: Indiana Jones! It is guaranteed to give you all Indiana Jonesers boners! "Much like Indiana Jones and his paramour Willie Scott, Luke and Jessica yell at each other a lot in this one. But you, the listener, are their beloved Short Round, and by the end of the episode they will get married and take you back to America with them. Or Jessica will stab Luke with his own Indie action figure. Listen and find out!" Ha ha, it's true! She nearly murders me during the recording of this one. You can grab it on itunes or download it now from the official site! ThreeA Toys Showcase Portal Robots and More! Robot Chicken DC Comics Special!